Chewing gum, plant material, food crumbs, human and pet dander, grease, dirt, yard debris, leaves, pine needles and more are common items found on floors worldwide. Food debris, plant material, pet/human dander and grease are all things that can attract pests as well as harbor mold and pathogens. Pathogens are disease causing bacteria, viruses, fungi, and other microscopic things, commonly called germs. Serious illness can arise from any number of directions when floors are dirty. including influenza, TB, asthma, immune system disorders and more. Consider that every time a person exhales, pathogens in their bodies escape with the moisture in their breath, whatever that person has is now on your floor. Contemplate the shoes that walk across your kitchen floor; they are likely to have recently been next to a toilet. Dirt tracked in can also harbor pathogens or toxic substances from the outdoors, some of that dirt will become airborne. Mold and Dust are high on the list of home based causes of disease and illness. For more information on illness related to poor hygiene, see the Australian Department of Health. 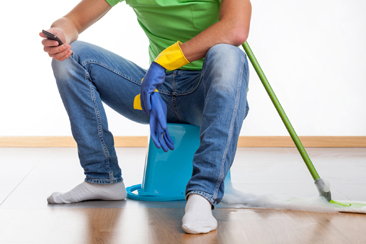 Floor cleaning can make a big difference in your family’s health by minimizing the number of microbes on your flooring. Just like washing your hands after toileting, and before eating, cleaning your floors with any germ killing agent, (as simple as soap and water) will make less surface for germs to grow. Beside strict hand washing, housekeeping may be the next best defense against getting sick. At House Cleaning Melbourne we know how to sanitize your floors completely. We frequently clean for restaurants and commercial kitchens, so we know the Department of Health Standards. Our professional cleaning crews have the tools, techniques and training to clean to the highest standards. These same techniques, tools, and skills can be applied to residential cleaning. 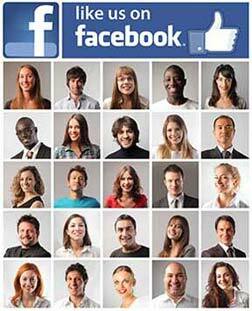 *If you have a type of flooring not on the above list please ask, chances are we can help. If you have any conditions or values that prevent you from using common cleaning solutions and chemicals in your home or business we can help. We have an arsenal of natural cleaning products at our disposal that clean as well as traditional cleaners. We initiate discussion on cleaning solutions with each customer before beginning any floor cleaning. It is important to look closely at the natural cleaning solutions as many have ingredients that may trigger allergies. For instance, many natural cleaning agents contain pine oil or orange oil, people allergic to either should avoid those. 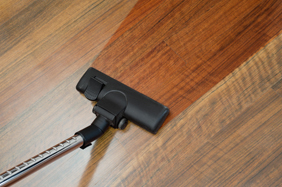 Floors throughout a home or business need to be cleaned regularly in order to get the full benefits of cleaning. Every home and business is unique. Basically, more people coming and going equals more dirt and germs. We can help you determine the schedule you need for floor cleaning to optimize your healthy environment. House Cleaning Melbourne can help your create the cleaning package that best suits you, your business, family, values and your budget.